Savoir Faire… you’ve come a long way baby! Once upon a time a Belgian barge (built in 1932) named Etoile de Champagne started her working life transporting grain through Europe. During WWII she dutifully carried allied troops until she was eventually scuttled and left to rust. There in the banks of a river, Etoile de Champagne lay (partially submerged) until she was found and resurrected in the late 70s, when she was refurbished and given a new life as a hotel barge. 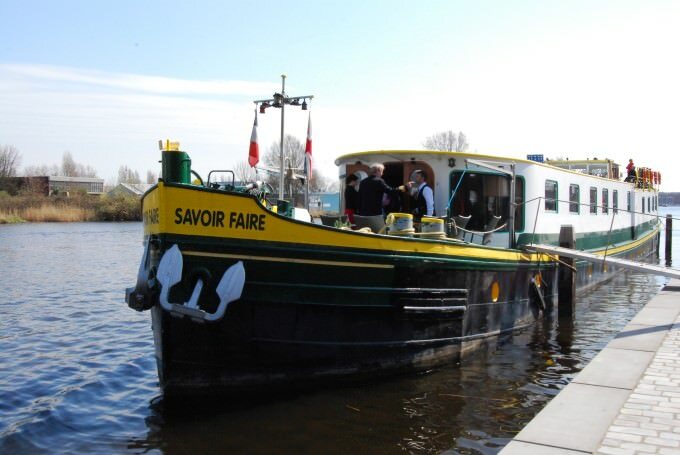 It was only in 2004 that the barge was sold to her current owner and captain, Chris Bennett, who refurbished and renamed her Savoir Faire (which means “to do it right”). 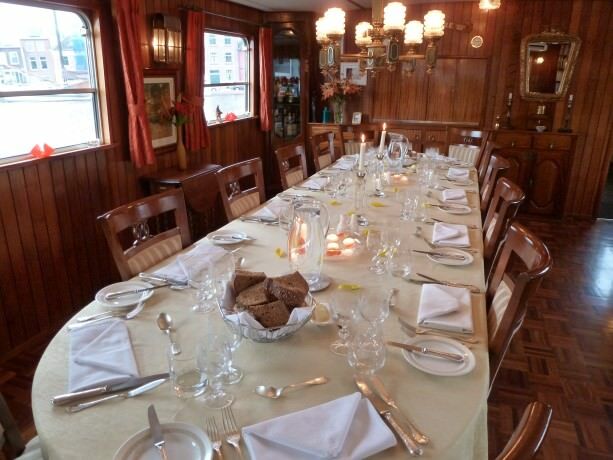 Since 2005 passengers have had the opportunity to experience the intimacy of European barge cruising on this spacious and open 12-passenger hotel barge as she makes her journey through Holland, Belgium and France. 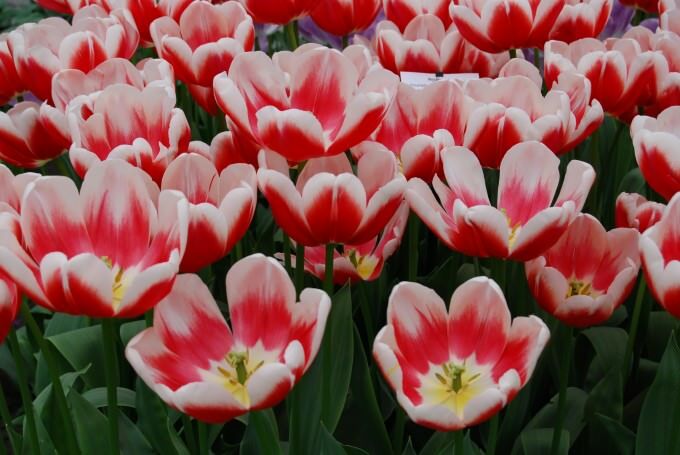 WAVEJourney’s Adventure: Springtime and Tulips in Holland – 6 Nights of Heaven! 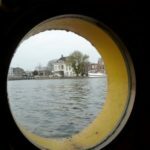 WAVEJourney’s 6-night Savoir Faire hotel barge adventure in Holland started in Amsterdam where we were met at a hotel in Rembrandt Plaza by deckhand and driver, Carl from South Africa. 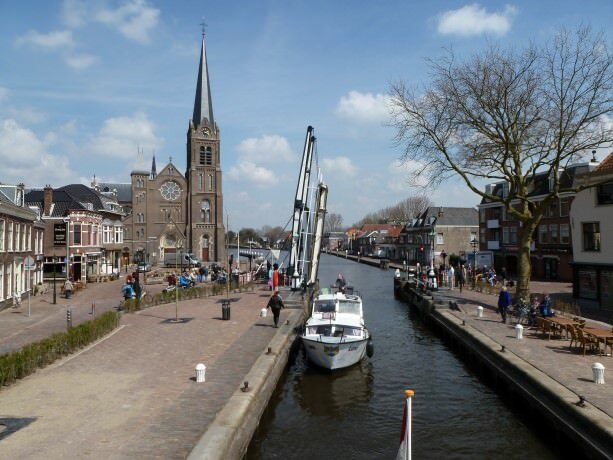 From our meeting point we were whisked away to the nearby picturesque city of Haarlem, where the hotel barge we called home for a week awaited our arrival. 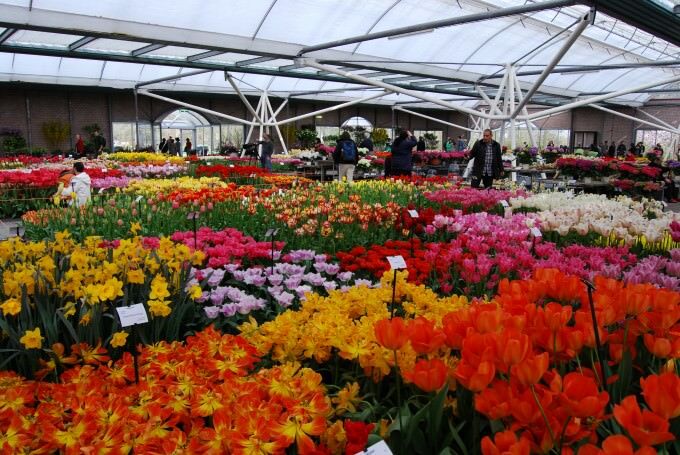 Luckily for us it was tulip season and one of the many highlights of the cruise included a visit to Keukenhof Gardens – only open 2 months a year and home to the largest display of flowers in the world. 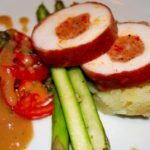 What’s Included in a Savoir Faire Cruise? Savoir Faire normally has six English-speaking crew members (Captain, Chef, upper deck hostess, lower deck steward, tour guide and deck hand), our cruise had five crew (the lower deck steward left after the first day). 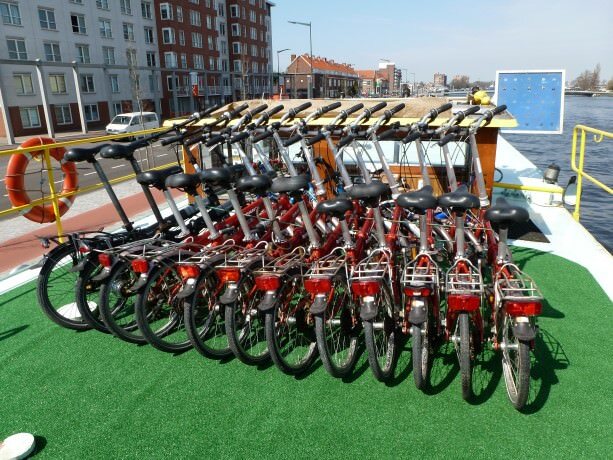 If you haven’t cruised before you may not be familiar with the tipping policies. But if you have taken an ocean or river cruise you already know that most companies do not include gratuities in the actual cruise price and barge cruises follow the same principal. For hotel barge cruises the suggested crew gratuity is 5-10% of the cruise price, payable in cash (local currency) at the end of the cruise. 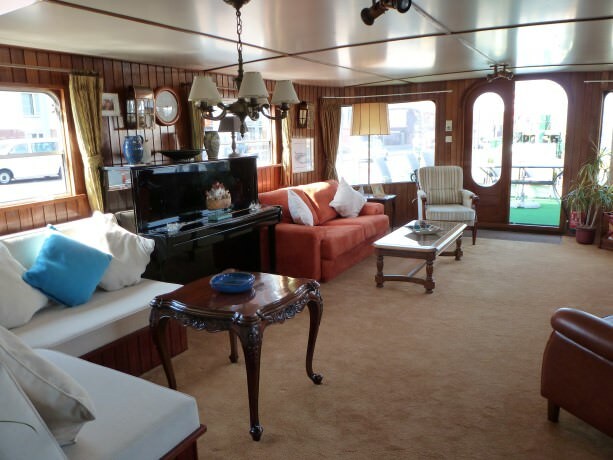 As an example: In 2013 a 6-night cruise on Savoir Faire ranges from US$4500-$4800 per person. 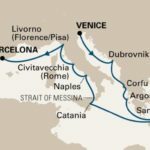 Therefore, given the 5-10% guideline, the suggested gratuity might range anywhere from a low of US$225 to a high of US$450 per person based on the lowest cruise fare of US$4500. 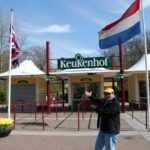 Note: You can easily convert exchange rates into Euros using XE.com. The gratuity should be paid in cash, preferably in the currency of the country in which you are cruising and placed in an envelope that you present to the Captain before the end of your trip. 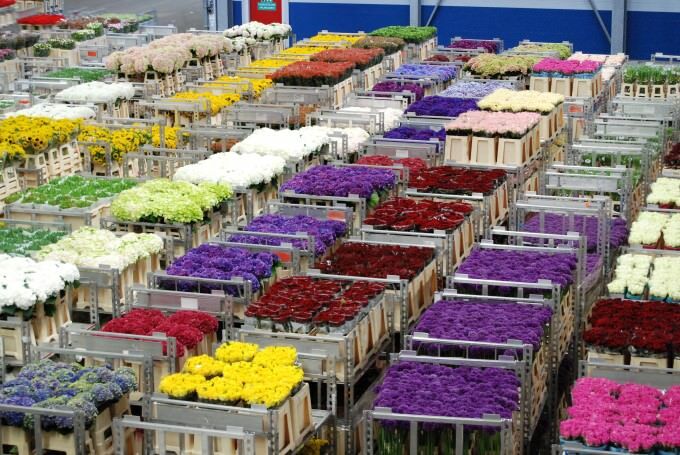 Typically the tips are shared equally among each of the crew members (including the Captain). When trying to decide how much to tip, take into consideration the level of service provided, expertise of your tour guide, friendliness, attitude, performance of special requests and sheer hard work from your crew to determine the amount of your gratuity. 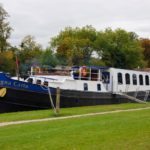 Although a hotel barge cruise comes with a hefty price tag, it is also one of the most incredible ways to travel and one that is definitely worth saving for. When you put the cost of the cruise into perspective… the intimacy of the cruise, close proximity to the location you are travelling through, a crew to passenger ratio of 1:2, sumptuous dining and fine wines, included guided excursions and entrance fees, the value is excellent. 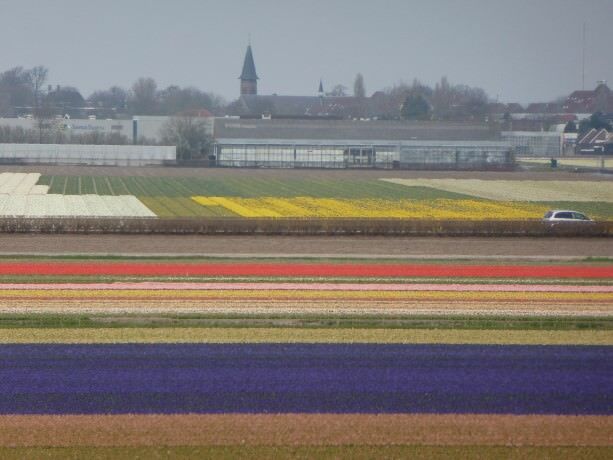 Savoir Faire cruises can transport passengers on 7 to 10 day trips through Holland, Belgium and France, or book a longer trip and experience all three countries. 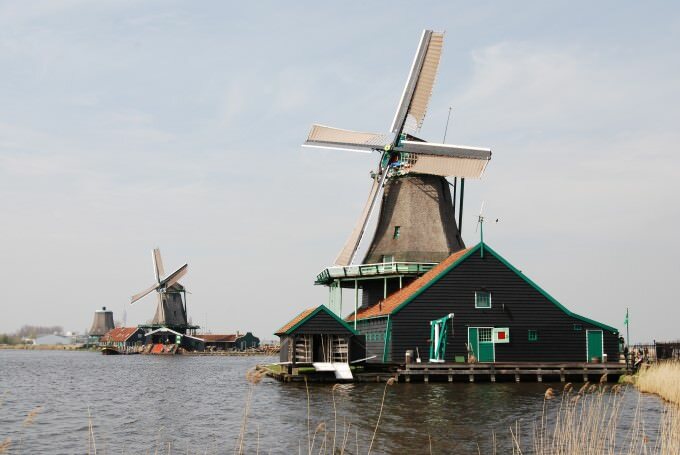 This is the sort of trip that dreams are made of, and for that reason alone a hotel barge cruise in Europe is one we recommend adding to your bucket list! Notes: WAVEJourney were guests of Savoir Faire in Holland from April 21 to April 27, 2013. Read our full disclosure statement for more details.